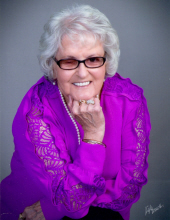 Linda Mitchell Fox, 74 of Princeton, passed away Wednesday at her home. She retired from the Caldwell County School system after 25 years of employment. She was a member of Blue Spring Baptist church and the Kirby family and friends Relay for Life Team. Linda was a 1962 graduate from the Butler High School in Princeton, KY.
She is survived by her husband of 56 years, Jerry Don Fox; daughter, Marcia Renee Fowler and husband, Kerry of Cadiz; brother, David Pike Mitchell and wife, Nancy of Clarksville; sister-in-law, Reva Mitchell and husband, Shelby Merida of Evansville, IN; brother-in-law, Rudy Fox and wife, Linda of Grand Rivers; granddaughter, Amanda Fowler Allen and husband, Hunter of Caldwell County; great granddaughter, Braelynn Renee Allen, and several nieces and nephews. She was preceded in death by her parents, Lowery Newton and Grafton Bee Oliver Mitchell; infant sister, Thelma G. Mitchell; son, Chad Jason Fox; and brother, William Newton Mitchell. Visitation will be from 4 to 8 PM Saturday, February 2, 2019 at Morgan's Funeral Home. Funeral services will be held on Sunday, February 3, 2019 at 2:00 PM at Morgan's Funeral Home with Rev. Ronnie Sivells officiating and assisted by Rev. Patrick Yates. Burial will follow in the Blue Spring Baptist Church Cemetery. Memorial contributions may be to the Gideons International, Lyon Caldwell Gideons, P.O. Box 412, Eddyville, KY 42038 or Blue Spring Baptist Church cemetery, %Harvey Mitchell, 64 Merrick Road, Princeton, KY 42445. You may light a candle or leave remarks for the family at www.morgansfuneralhome.com. To send flowers or a remembrance gift to the family of Linda Mitchell Fox, please visit our Tribute Store. "Email Address" would like to share the life celebration of Linda Mitchell Fox. Click on the "link" to go to share a favorite memory or leave a condolence message for the family.